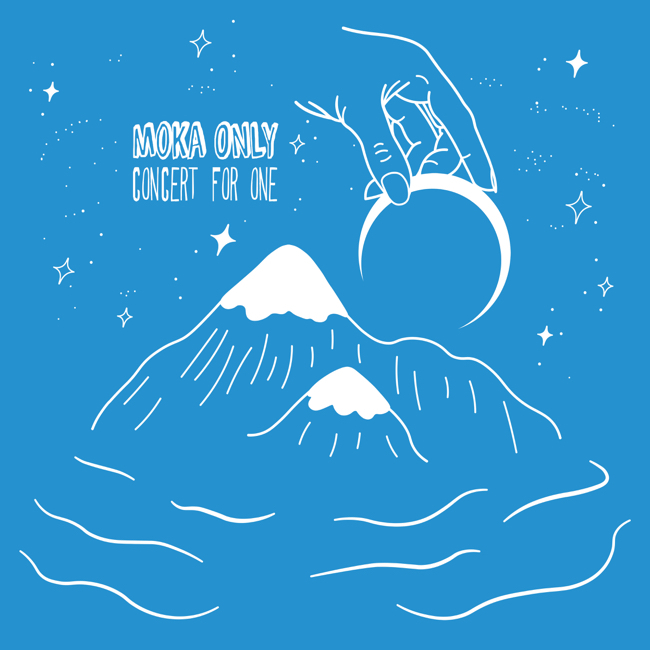 Moka Only delivers his new project “Concert for One” with such admirable tenacity as the album is packed to the brim with 20 dusty, raw, and jazzy tracks from the Vancouver rapper-producer, in addition to a slick guest verse from Detroit’s own Dank (of Frank n Dank) and artwork from Montreal’s Vanessa Malo (Instagram: @vnilla_art). The man also known as Daniel Denton is something of a musical superhero. An iconic artist in Canadian Hip-Hop, he performs musical feats under a number of mysterious aliases. You can find him recording under the names Ron Contour, Torch, and (most notably) Moka Only, but no matter the name, one thing remains constant: his delivery is consistent and unmatched. He’s an acclaimed underground champion, and a true storyteller with an unfathomable collection of stories to tell. Moka works as a multi-faceted artist, and has been writing, producing, and creating relentlessly since the mid ‘90s. He has been celebrated by his community, too, and earned a 2015 WCMA Rap Recording of the Year nomination in addition to three Canadian Urban Television nods. And as a co-founder of the Swollen Members—a name that Moka says they used “…because I liked the double entendre”—his successes garnered him three Juno Awards, seven Platinum Plaques, and seven Muchmusic Video Awards. That’s not to mention his collaborations with rap legends MF Doom, J Dilla, and Grand Puba, and international tours with the likes of Tanya Morgan and ILLA J—to name a few.